Smith Settle’s Yorkshire Journal which was started in 1992, and was taken over by Dalesman, then closed down after 47 issues had been published. Mason Publications of Beverley’s Around the Wolds from the 1980’s and 1990’s. North Yorkshire magazine, now sadly defunct after over 100 issues. Milltown Memories was another casualty in 2006. This e-journal was set up in 2010 to partially fill the void left by these now defunct publications and is designed to appeal to all readers with an interest in Yorkshire’s heritage past and present. It is a free non-profit journal dedicated to Yorkshire. Its high-quality, advertisement-free issues quickly gained popularity far beyond the boundaries of the county. 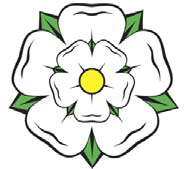 The Yorkshire Journal is dedicated to Yorkshire, England’s largest county. It was published quarterly, four times a year in Spring, Summer, Autumn and Winter until the end of 2017, however, because of limited resources, the journal is now published annually in December. This annual issue will be supplemented by a short review in March, June and September starting in 2019. To receive an e-mail notification from us each time a new issue of The Yorkshire Journal is issued please “Follow” us by entering your e-mail address and clicking on the “Follow” button at the bottom of the page. Articles in the journal focus on all aspects of Yorkshire’s heritage, past and present, including features on its stunning landscape, picturesque villages, historic towns and cities, customs, traditions, curiosities and the history of its people. The journal is beautifully illustrated with a magnificent range of photographs, paintings and line drawings. The full archive of the e-journal is available on-line. Please feel free to download copies of the journal and we hope you enjoy the articles. All the material in The Yorkshire Journal is copyright either to The Yorkshire Journal and/or the author. If you want to use it yourself, other than for personal study, please ask us. The standard set by the online journal has been a tribute to the hard work of the late editor. I always looked forward to seeing new editions as they were published and would be delighted to see it continue. There must be many more ‘Tykes’ both living at home and in exile (like myself) who would agree with this. Long may it continue! As an American doing genealogy research on my Yorkshire ancestors, I loved the history and photos the publication provided. Love love LOVE Yorkshire! So glad that I have been able to spend (not nearly enough) time in the land of my ancestors. Now I am glad that you are picking up the reins and sharing with us! THANK YOU!